Classic and modern dining table is a perfect addition to any dining room. It has dark top glass with ash veneer finished legs. Sturdy and practical yet modern and unimposing. The thick legs offer durability and a prominent visual appear. The mix of classic wooden legs contrasting a simple dark glass top. Its larger size makes it a centrepiece for any Dining Room and is sure to attract comments. 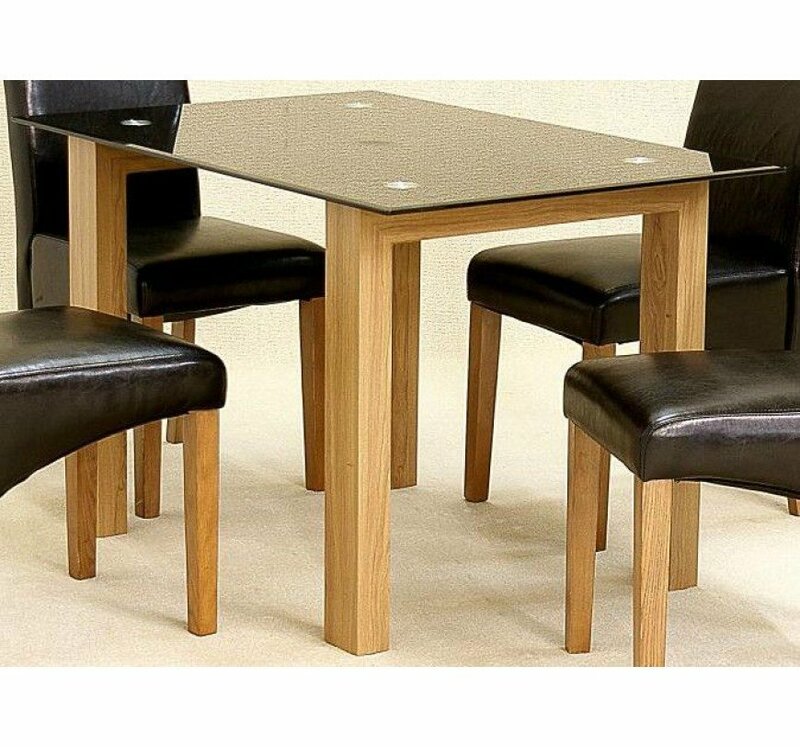 The set is also available in a set of 4 & 6 for a more stunning and impressive visual look please look at dining table sets in Adina range.